EARRINGS - SARAH COVENTRY. "ONYX TEARS" FROM THE 1970 LADY COVENTRY LINE. 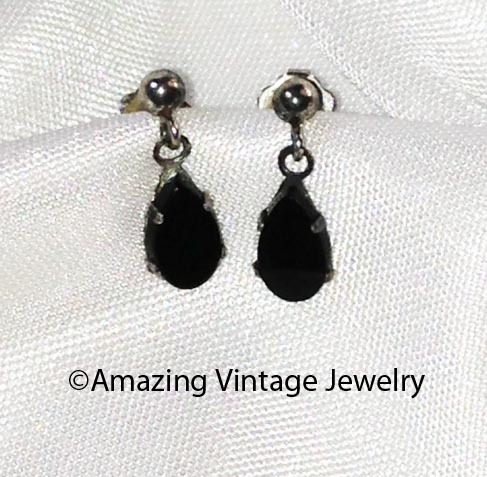 TINY STERLING SILVER DANGLES WITH GENUINE BLACK ONYX TEARDROP INSETS. 1/2" LONG. PIERCED. VERY GOOD CONDITION WITH A LITTLE DARKENING TO THE PRONGS THAT HOLD THE INSETS.